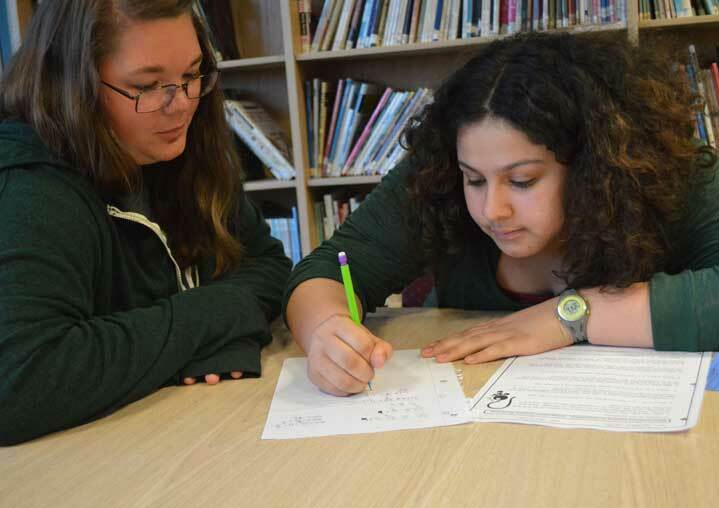 On Tuesday afternoons, high school junior Cristina Essex and Emily Sternburgh make their way to Mill Creek Middle School Media Center to help sixth- through eighth-graders with their homework. It turns out, said middle-school students, Cristina and Emily know how to explain things just right. “From them, I can probably learn it a different way,” said seventh-grader Giselle Grillo, while working on pre-algebra homework. 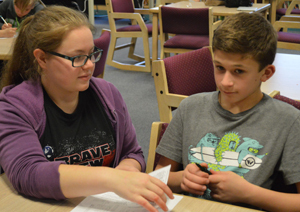 Seventh grade math and social studies teacher Joe Thompson leads hour-long after-school tutoring sessions on Tuesdays, Wednesdays and Thursdays. Last fall, as the only teacher in a roomful of students, he had a difficult time giving each student help, he said. So he called on the high school National Honor Society. Since late fall, about 15 high school students have helped at the sessions, which Thompson said has been a big help. High school students said they enjoy giving back in a way that helps younger students. 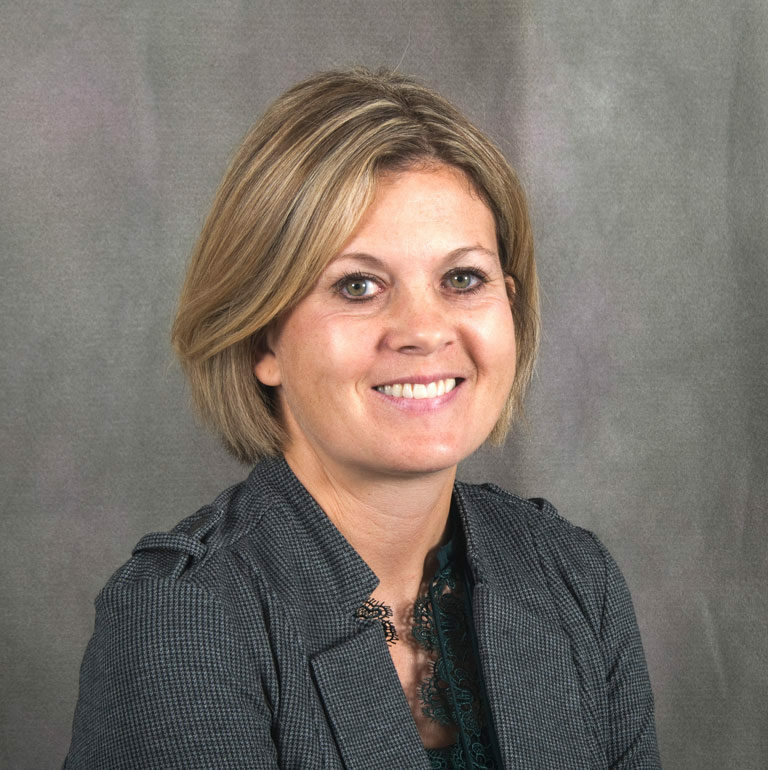 Middle-school students said they appreciate help staying caught up in class. “It’s helpful and kind that they take time out of their day to help us,” said seventh-grader Kayla Merritt.